I've actually brought this topic up with many of the drivers I know in Barrie. Simcoe County is currently in the process of setting up a regional transit system, with a route to Collingwood being started in 2019, which in my opinion is pretty far away. 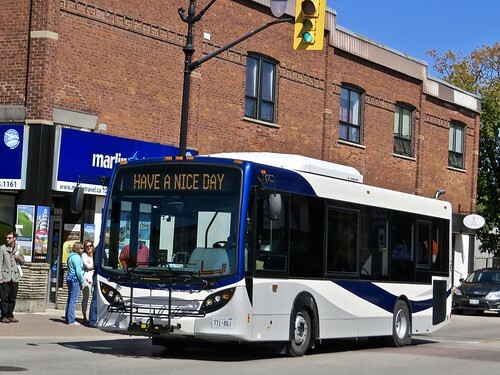 If anything, Barrie-Orillia and Barrie-Collingwood should've been the first routes set up by the County, since they would both connect Barrie to the second and third-largest transit networks. Or at least meet halfway in Meaford and connect to their bus, and then Meaford or someone else could do the rest of the trip to Collingwood? That's a very long ride to be spending on an Arboc. Although I'd admit it'd be awesome seeing a Grey County bus calling at the Collingwood terminal. I'd definitely take the trip. That route is busy for Greyhound, even though it's only one trip daily I doubt they would drop it. If they did I can see Hammond take over that route. Once the regional service from Barrie to Collingwood happens it will effect their ridership/bottom line. That might be true but Greyhound is a more direct service, rather than taking the GO train to Barrie and then transferring to services at each municipality. It would depend on how it's structured. Think about Kitchener or Guelph Greyhound still has a healthy market even though GO Transit also services those routes. The route between Barrie and Collingwood that the County will be starting in a couple of years will definitely poach the traffic from the Hound between those two cities at least (especially with more frequency for the route), as well as poaching traffic from the taxi services, but I'd imagine Greyhound will still be strong at least between Meaford and Owen Sound. If not, Kunkel or somebody else locally'll end up taking it over, hopefully with a bit more frequency. 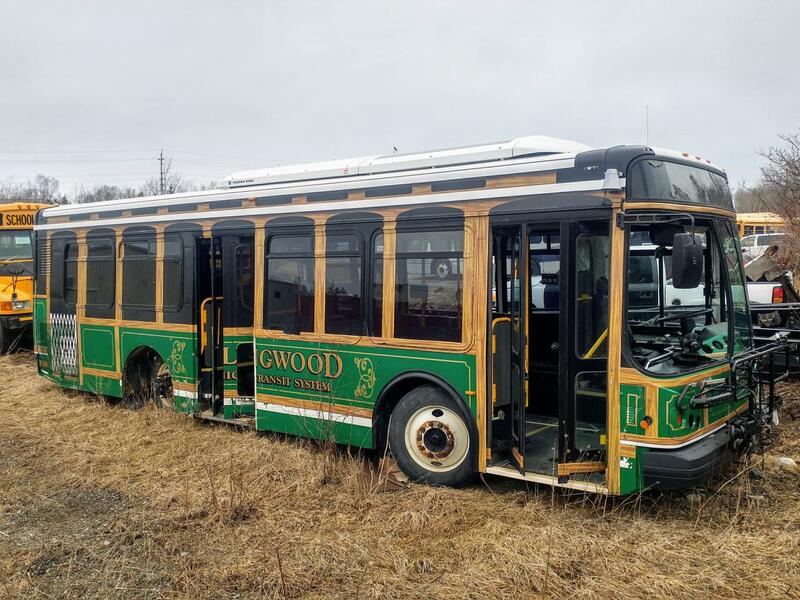 I did read some articles in the Owen Sound newspaper around the time that the debacle with the terminal was happening though, that talked about Grey County possibly getting into the rural transit business. They could possibly run something on 26 between Owen Sound and Meaford at least, or even into Collingwood. I haven't heard anything for a few years at least though. but I'd imagine Greyhound will still be strong at least between Meaford and Owen Sound. If not, Kunkel or somebody else locally'll end up taking it over, hopefully with a bit more frequency. 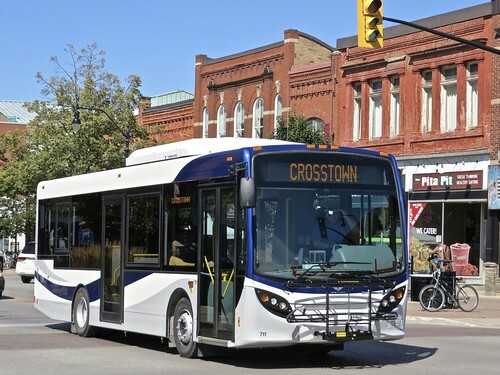 The Greyhound to Owen Sound should definitely survive, even with an expanded regional transit network. Its basically the only direct way to get up to Owen Sound without a car. The only other link that I know of is a somewhat expensive privately run shuttle service between Pearson and Kincardine (on Lake Huron) that goes up Highway 10 with a stop in Owen Sound. Maybe not as its now down to one trip each way a day. While we're on the topic of inter-municipal connections out of Collingwood, this article from the local newspaper back in February talks about the Blue Mountain Link exceeding its targets as well as the possibility of a route to Meaford. Checking out the fleet roster I noticed there is a few numbers missing here with 700-706, 708, 710-712 being utilized. 707 & 709 were not used. Would these numbers be reserved for something else or did they just decided not to use them. Bus 702 is retired and stripped of parts at the yard. Many systems go with the 12 year life span. 700 had a very minor refurb a while back and may stick around a bit longer. I did forget to post this. During my recent trip. I did notice that service to the Blue Mountain Link runs all day now instead of peak times. With the extended service, another bus had to be utilized as a spare for whenever 708 was down. After 710 & 711 entered service and with a member stating that the two of the EZ Riders that were to retire were staying. Judging by many photos of 700 which had some work done to it and repaint. It is the second vehicle for the Blue Mountain service. 702 was taken off the road some time in late 2018 or early 2019. It also seems 702 never had the same livery as 700 and 701, but was plain white with just a wrap. There is a tender for a Cutaway right now for this year and hopefully that will recieve the current LADOT style livery. For the Clearview fleet for some reason bus 3322 which was the launch vehicle for the service is also still on property in the livery and is still plated. Bus 01 as they call it was awaiting work and the unnumbered white bus was in service. With the LINX service taking over the Wasaga Link in August. 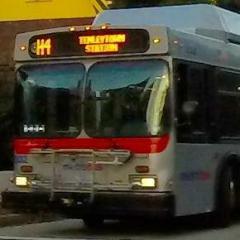 I would assume bus 712 and the new cutaway on order may replace the remaining EZ Riders. I will be going back when the LINX service starts up there.